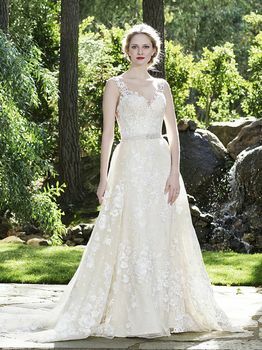 Long, lean, and the embodiment of elegance, Aspen’s alluring Fit and Flare silhouette is the perfect canvas for a bride brimming with confidence. 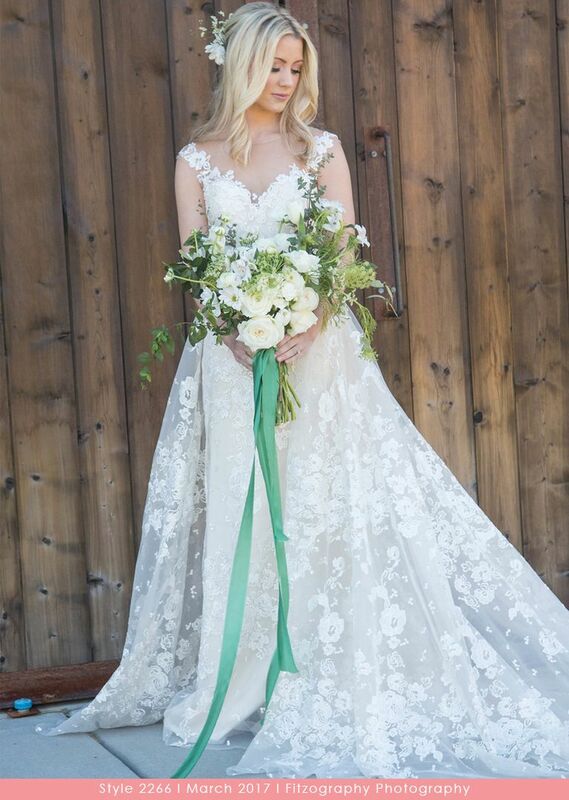 Lace straps are gently embroidered on the illusion neckline, and a line of ivory buttons floats down the back to add a touch of whimsy to the gown. 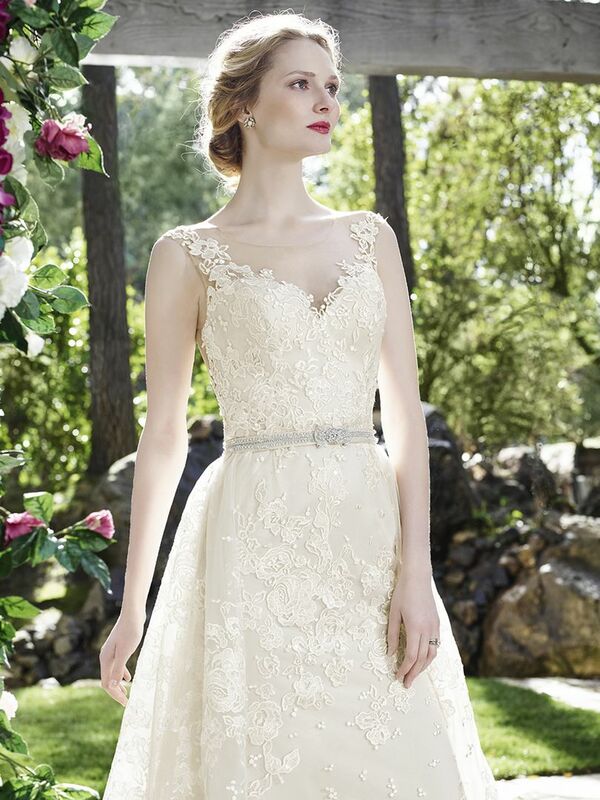 Ornate lace embroidery on the tulle overlay completes the look. For added romance, try Aspen with a fuller A-Line skirt delicately cinched at the waist with a beaded belt for a little sparkle.